“In the heart of Central Africa, so high up that you shiver more than you sweat,” wrote the eminent primatologist Dian Fossey, “are great, old volcanoes towering up almost 15,000 feet, and nearly covered with rich, green rainforest – the Virungas”. 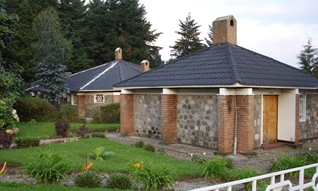 Situated in the far northwest of Rwanda, the Parc des Volcans protects the steep slopes of this magnificent mountain range – home of the rare mountain gorilla – and the rich mosaic of mountain ecosystems, which embrace evergreen and bamboo forest, open grassland, swamp and heath. This is 160km² national parks and it protects the Rwandan sector of the Virunga Mountains, range of six extinct and three active volcanoes which straddles the borders with Uganda and the DRC. The Volcanoes Park is part of a contiguous 433km² Trans frontier conservation unit that also includes the Virunga National Park and Mgahinga National Park, which protects the DRC and Ugandan sectors of the Virunga respectively. The three national parks are managed separately today. At the time of independence, Rwanda’s new leaders confirmed that they would maintain the gorillas which were already known internationally despite the pressing problem of overpopulation. 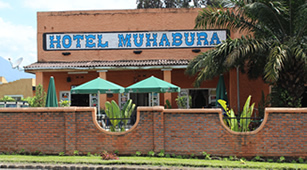 The town of Musanze (more commonly known by its former name Ruhengeri) is the hub of Rwanda’s gorilla trekking tourism, with plenty of cafes, bars and restaurants, and is easily accessible on a 1-2 hour drive from the capital Kigali. 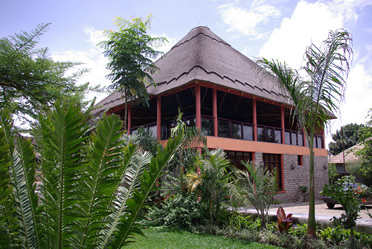 Volcanoes National Park’s Headquarters are based in the nearby village of Kinigi, the administrative centre for permits and the place where all visitors gather in the mornings for briefings before starting on their gorilla treks. The issuing of gorilla tracking permits is strictly regulated in Volcanoes National Park (see Gorilla trekking safaris in Rwanda for further information on this) so it’s advisable to plan your holiday well ahead, particularly if you want to travel to Rwanda in the busy period between June and September, to guarantee availability. 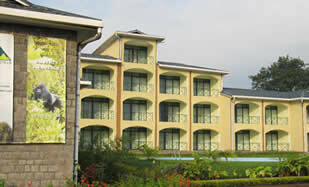 There are several options for accommodation near Volcanoes National Park, and quite a range of choices – from simple and basic, to more upmarket. 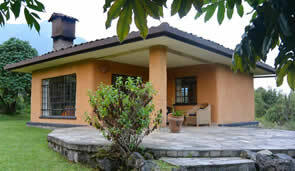 Those in Ruhengeri and Kinigi generally fall into the lower budget categories while the more expensive lodges can be found on the outskirts of the park or scattered further afield. 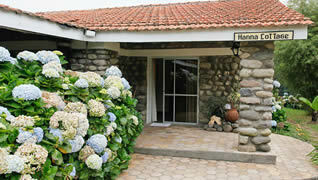 Tourism in Volcanoes National Park is well established. For the most part, the gorilla tracking experiences and hotels operate smoothly and the people are friendly, appreciating the value of visitors to their economy and their area. Indeed, some of the lodges actively work with the local communities on projects for job creation and education, offering interesting visits to local villages. There is no other wildlife experience quite like an encounter with mountain gorillas. That precious hour spent in their company – watching the group playing, sulking, teasing each other, eating, or dozing just like we do – is extraordinary. 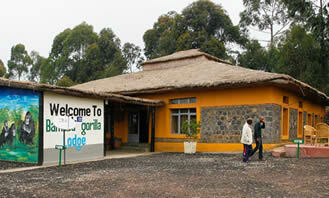 And the gorilla tracking safaris in Rwanda’s Volcanoes National Park are among the best in Africa. 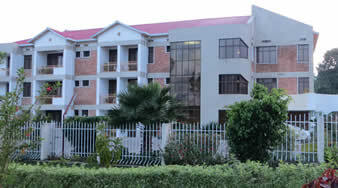 Rwanda is now home to ten habituated groups of mountain gorillas that are scattered all over Volcanoes National Park. You’ll leave early in the morning for your briefing at the Park HQ and then in parties of eight will be taken to your allocated group with a guide and trackers. Gorilla trekking can be arduous – some of the groups wander high up the mountainsides – but it is always utterly rewarding. Take a look at Gorilla trekking safaris in Rwanda for further information on the experience, etiquette and tips on gorilla trekking. Encounters can never be guaranteed, but any time spent with them will never be forgotten. You don’t have to track gorillas to go trekking in Volcanoes National Park – there are other interesting hiking trails here. 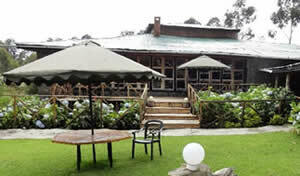 Before your visit to the gorillas, a guided walk into the mountains can be good for acclimatisation. It also allows you to spend more time looking at the other wildlife in forest, and to gain a better understanding of the overall ecosystem. Several other primates have made Volcanoes National Park their home too and it’s possible to track two troops of habituated golden monkeys, a totally different experience to gorilla tracking. Golden monkeys tend to inhabit the bamboo forests on the lower slopes, so the walk to reach them is relatively easy. Again, once you find them, you’ll have just an hour in their presence. They’re fast-moving little creatures, and very entertaining as they constantly swing through the bamboo or chase each other in circles all around you. They’re also very pretty, with shiny reddish-gold backs that blend in perfectly with the golden bamboo. People are as much a part of Volcanoes National Park as its primates and a visit to one of the cultural centres in the area to gain an insight into local life and traditions is not only very interesting but also benefits the local communities and deters them from engaging in negative activities like poaching. Two very good examples are the SACOLA Cultural Centre, with excellent traditional Intore dancing, and Iby’Iwacu Cultural Village, both near Kinigi. 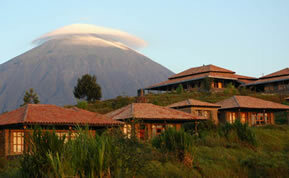 Even without mountain gorilla safaris, Volcanoes National Park would be fascinating. Its altitude ranges from about 2,500m to the peak of Karisimbi, at 4,500m, resulting in extensive bamboo forests and some of the last remaining afro-montane forest habitat on the planet. On the higher slopes you’ll find an almost otherworldly habitat of thick moors with endemic giant lobelia and groundsel. As well as its infamous mountain gorillas, the Park harbours a spectacular array of rare and endangered animals and plants. There is a variety of other primates, including the endemic golden monkeys, plus forest elephants, buffalo, giant forest hogs (Africa’s largest swine), bushpigs, bushbucks, black-fronted duikers, spotted hyenas, and around 200 species of birds. 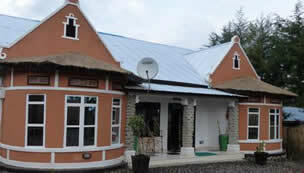 Reliable Info on where to stay in the Volcanoes national park when going for your gorilla trek in Rwanda. 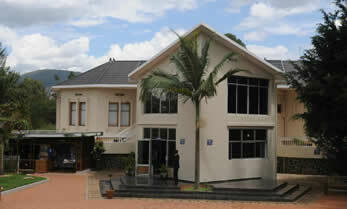 Below is a compile list of hotels in Rwanda ranging from high end, midrange and budget hotels options.